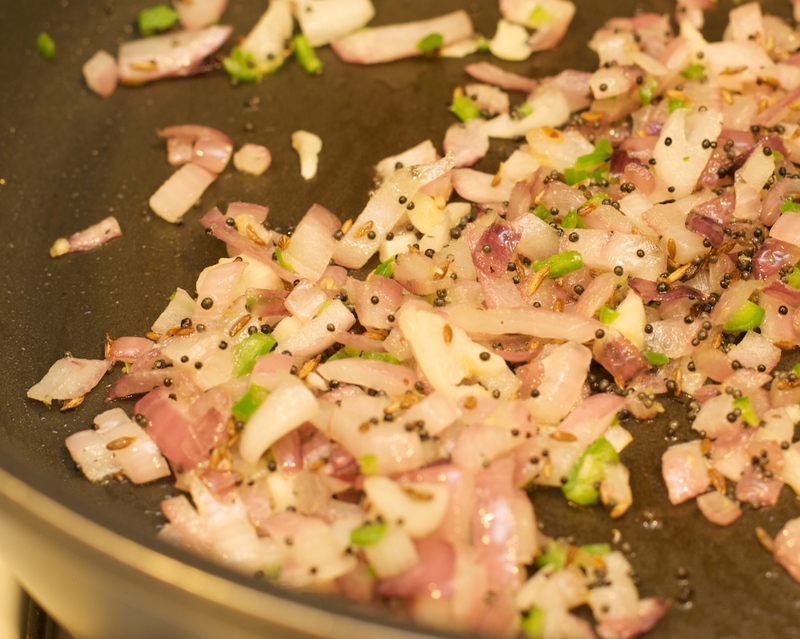 Frying the onion with serrano chili and garlic along with the spices gives it an amazing fragrance. 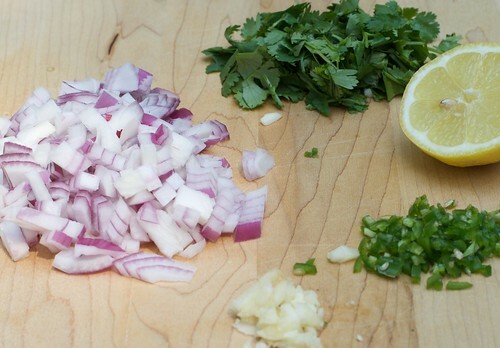 Cook the onion mixture until it is cooked but not browned. Also, when frying the mustard seeds, they tend to splatter. So have a cover handy. Here is how the finished recipe looks like. The dish is not only healthy but quite tasty. This recipe is a very simple recipe but quite tasty. Cooking Ingredients link on the left to get details on where you can buy good quality spices. 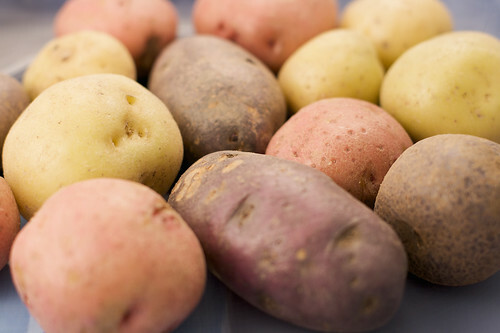 Boil the potatoes with their skin on for approximately 20 minutes until they are soft but firm. Poke a paring knife to check if it goes through the potato easily. Drain and peel them. 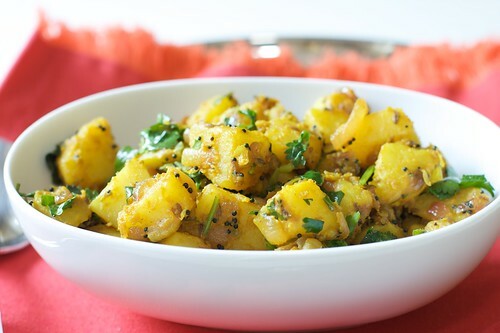 Chop the potatoes in approximately 1 inch cubes. Heat the oil in a non-stick frying pan on medium heat. When it is hot, add the mustard seeds. As soon as it begins to pop, cover the pan. As soon as it finishes popping, add cumin seeds and fry for 10-20 seconds. You know the seeds are done as soon as it changes its color to brown. Add onions and fry them for approximately 5-10 minutes. Add the serrano chilis and garlic and fry them for 1-2 minutes. Add potatoes, coriander powder, red chili powder, turmeric, sugar, salt to taste and 2 tablespoons of water. Stir to fold in all the spices and cover for 5 minutes. Take it off the stove and add juice of half a lemon and the chopped cilantro. Eat with bread, naan, chapati, pita bread.